After releasing Enfold Version 4 we took a closer look at the requests we got and one that keept poping up was an enhanced mobile experience. We figured thats a good idea since mobile devices are an every growing way to browse the web, and Enfold lacked in a few ways. So what we added in this first release, which targets mobile devices are a much improved mobile menu that allows to change a lot of styles to make your mobile menu as unique as your site. It is also possible to use the site search on mobile, something that was also not possible. Previously you had to set up an element for desktop size and then check if the theme properly scales it down on mobile devices. And although this usually works fine, there are elements or situations were this can get tricky. Now what you can do is simply set up 2 versions of an element and display/hide them at a breakpoint of your choice. Although it is not recommended to overdo this for the sake of search engines, it is now much easier to present tables of data or various sized images for various devices, for example. There are of course a lot of smaller improvements and bugfixes which you can check out in the change log below. We will keep improving the mobile experience with the next release and also want to improve the performance of Enfold in general. So if you got any suggestions in that direction feel free to use the comments. added: most elements received a “screen options” tab. Very nice update. Have already set up a demo yesterday to test out the new elements. Kudo’s for the mobile options. Now Kriesi… If you could add this in the builder itself … :) hehehehe. Can you please give brief instructions on how to use animista? I turned on custom CSS class, chose an animation and pasted the generated class and keyframes into the child theme CSS. I added the class into the class field. I see no animation. A mí también me gustaría tener un menú es una pena tener que usar un plugin para eso. I have been a happy user of this theme for many years and have slowly moved nearly all my sites to Enfold. The 4.1 update is fantastic! My only request would be an option with multi-author blogs to have a more extensive author element at the bottom of each article with short bio and icon links to social profiles or other websites for each author. There are plugins that can do this, but I have a feeling that your team could make something that matches and flexes with each blog style. Thanks for all the effort! A fantastic update for a fantastic theme. The best on Themeforest, hands down! Finally menu with the “search” icon on mobile devices ….. Great update!!! Thank you so much for new version of Enfold Theme with added new design. Looking for a better mobile experience using the Portfolio Grid. Some clients use this for storytelling, so having to scroll to the top for paging is unfriendly. Repeating the titles (as links) is also a lot of scrolling for mobile users. Prefer bottom of page NEXT buttons or some other method to get to the next portfolio item. My only request is an alternative with blogs to possess a author element that is broader with bio and celebrity links to profiles that are societal or sites for each writer in the base of every post. There are but I’ve a feeling your staff could make something which matches and matches with each design. Thank you for of the effort! More options for designing the header and footer. This update is a step in the right direction though, good job! I love this theme. It’s just long enough to open with a mobile device. Vielen Dank für die tollen Änderungen. Was ich mir noch wünschen würde, wäre bei der Vorschau die Möglichkeit zwischen den Ansichten zu wählen (Smartphone/Tablet und Desktop). Wow, I love this theme. It’s just long enough to open with a mobile device. 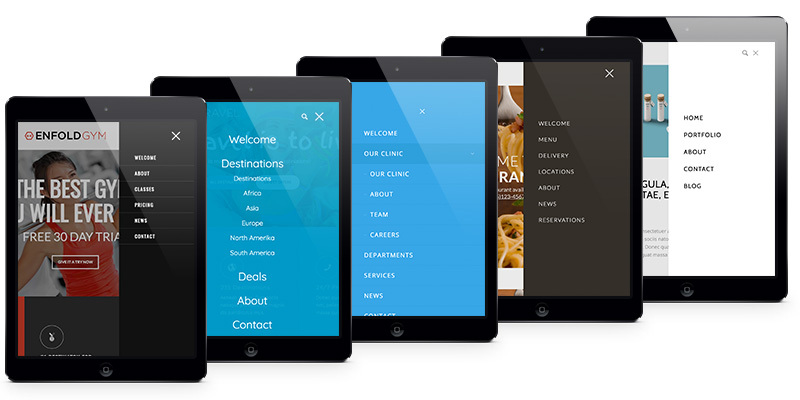 The mobile menu has yet to be corrected but it is a breakthrough for Enfold. There are missing options for adjusting the font size in item testimonial. And add font type from all the elements that use text in the visual constructor. Also missing an option to add a logo retina and a logo for the mobile as any modern payment template. Great job! Lots of exciting improvements and fixes. Love the theme and the support provided.